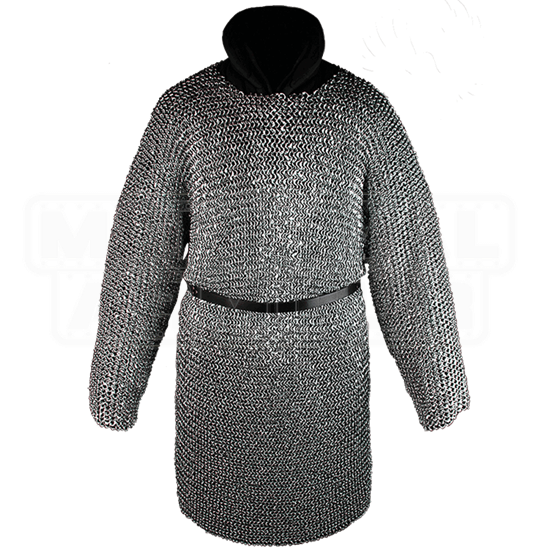 With its long sleeve, knee length construction, The Richard Riveted Steel Chainmail Hauberk adds comprehensive protection to any armoured look, whether your character is a Crusading knight or a fearsome warrior from a fantasy realm. Woven together in a traditional 4-in-1 pattern, each steel ring in its construction is riveted for durability. 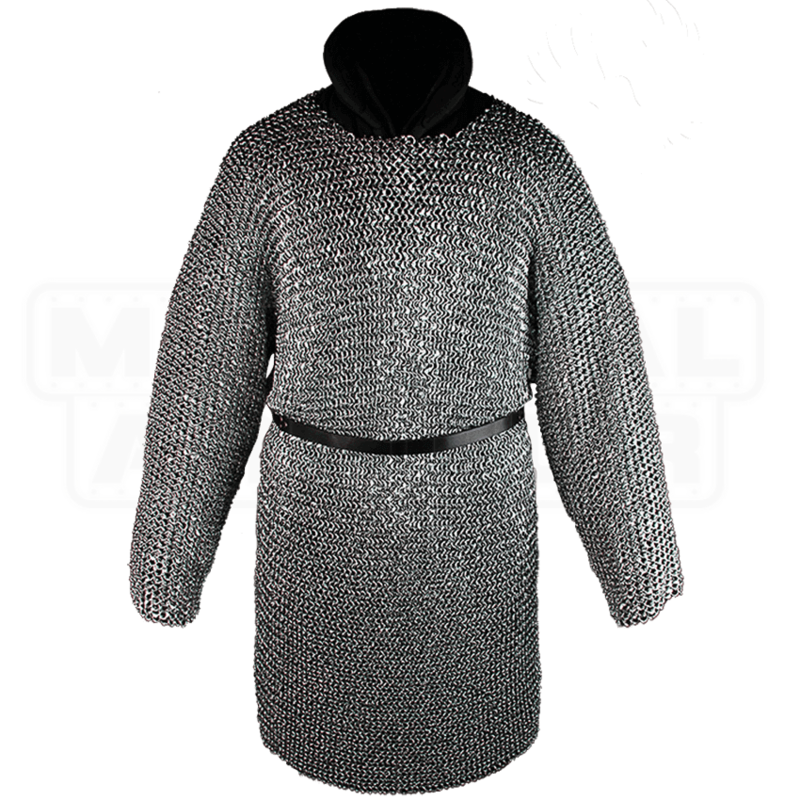 Wear it over a gambeson, as shown, for best safety and comfort. The belt shown at its waist is not included, but shown for example, as belting the chainmail hauberk at the waist will help redistribute its weight throughout the body. Galvanized with zinc for a shiny tone and rust resistance, this riveted steel hauberk is ideal for LARP and medieval or fantasy costume use.